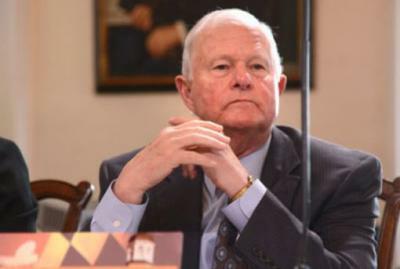 Smith served two terms as Baltimore County Executive from 2002-2010, and then served four years as Maryland"s Secretary of Transportation in Governor Martin O"Malley"s second term. WBAL-TV Lead I-Team Reporter Jayne Miller quotes sources who say Jim Smith, has resigned as the Chief of Strategic Alliances. James Bentley, a spokesman for Pugh could neither confirm or deny reports on Smith’s status. Earlier this week, her personal attorney confirmed that the Office of State Prosecutor was investigating Pugh’s book deals.